Want to regain trust? Be more human. Twenty years ago, trust wasn’t on the CEO radar. When global CEOs were surveyed about this in 2002, right after the bursting of the dotcom bubble and a series of accounting frauds, only 12% thought public trust in the companies had greatly declined. Today, it’s a radically different story. 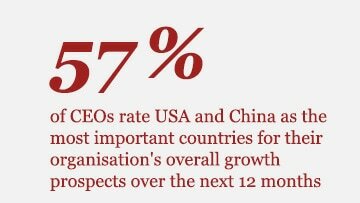 Almost two-thirds of Australia’s CEOs are concerned about the lack of trust in business, up from 57% last year. 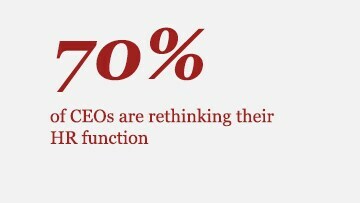 And it’s not just a perception in the minds of CEOs. The most recent Edelman Trust Barometer reveals that trust in all four key institutions — business, government, NGOs and media — has declined, a phenomenon not reported since Edelman began tracking trust in 2012. While the causes are many and varied, business leaders agree that technology has exacerbated the challenge, citing breaches of data privacy, cyber security, social media and IT outages as key contributing factors. Over the past few decades, globalisation and technology have been pursued in the pursuit of economic gain. In the process, human connectivity has been lost. 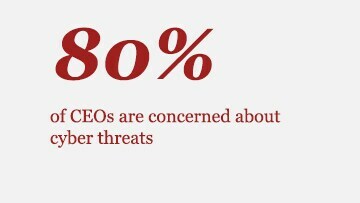 But considering that technology isn’t going away, what can CEOs do to address the low trust we see today? The first step is to recognise that people are taking more notice of what businesses are doing and that falling trust is now a serious business risk. For example, millennials look for work that they perceive to be meaningful and investors are taking a greater interest in the finer details of company operations. Distrusted companies must work harder to keep and grow their customer base, to secure capital, to attract the best talent and to maintain their social licence to operate. Trust is now a threat to the bottom line. CEOs, therefore, need to understand better the causes of low trust and start putting in place strategies to rebuild it. Yes, it’s a complicated issue, but it can no longer be ignored. Trust is, at its core, a leadership issue. There are few aspects of business where setting the ‘tone at the top’ matters more. Increasingly, we see a movement away from exclusive reliance on rationality in business. In a period of unprecedented change and upheaval, top leaders are placing value on other human skills, including what might be called ‘courageous vulnerability’. These leaders are less interested in positional power and are more likely to work collaboratively. They’re able to dial up or down their personal attributes to drive their companies into the future, away from command and control and towards being agile and adaptable. They also know how to encourage and grow these skills in their management teams and bring the organisation along with them. It’s this kind of brave, human leadership that’s essential to restoring trust in business. Another important ingredient is having a clear purpose. In the context of an increasingly digital world, 68% of Australia’s CEOs (more than the global average of 58%) strongly agree that it’s more important than ever to have a strong corporate purpose that’s reflected in the company’s values, culture and behaviours. And over half agree that businesses should be run in a way that accounts for wider stakeholder expectations. In short, trust is an opportunity as much as it’s a problem. 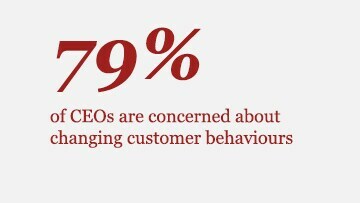 CEOs that embrace the challenge to restore trust – not just with their customers, but also their employees and the wider public – may well find a point of sustainable competitive advantage. 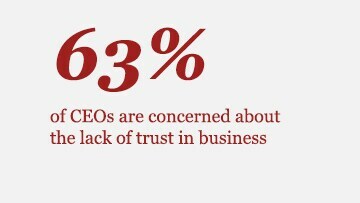 CEOs say trust in business is at an all-time low. Technology has exacerbated the challenge but trust is a leadership issue. Discover why brave human leadership is essential to restoring trust in business. Companies have a window of opportunity to rethink and redesign the way they employ, manage and interact with people. Learn more about why it’s the application of the so-called ‘human skills’, things that can’t be automated or done by robots such as adaptability, emotional intelligence and creativity, which will generate future value. Delivering a superior customer experience in a digital world means more than having a great content, channel or e-commerce strategy. Explore how customer experience is the new battleground and why customers want an experience where empathy is the centrepiece and technology is the seamless enabler. Asia can be a hard market to crack, but that’s not a good enough reason for Australian businesses to ignore it. View our research which shows that if companies want to be part of the growth story of this century, they need to get serious about developing Asia-specific strategies, and making those strategies work. Australian CEOs are starting to harness robotics, automation and artificial intelligence. Find out why on the one hand, CEOs are happy to embrace these innovations, but on the other fail to see the risks involved or the need to prioritize security. Aligning costs with business strategy is complex but can help an organisation grow sustainably, create value and outperform competitors. Asia is the growth story of this century, but it’s not waiting for anyone. Australia needs to get serious about developing Asia specific strategies and making those strategies work.